Well… we recently visited IKEA:)…and did some shopping. 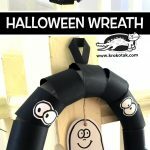 I don’t have the heart to throw away the big paper bags our stuff came in, so I was inspired by Vihra and her old notebook wreath to recycle them into holiday decoration. 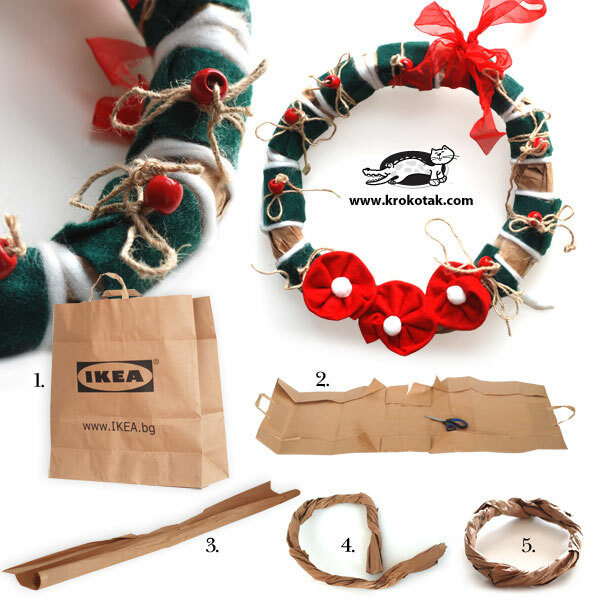 The natural color of brown paper is beautiful enough, so you don’t need to paint over it. 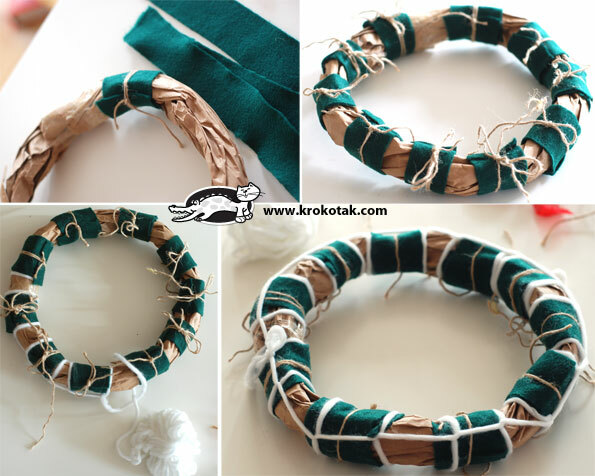 To make a similar wreath, you will need a big paper bag and two sheets of felt (or other soft fabric) in red and in green, some twine and a few red beads. Cut the bag in half to make a long stripe. Remove the handle. 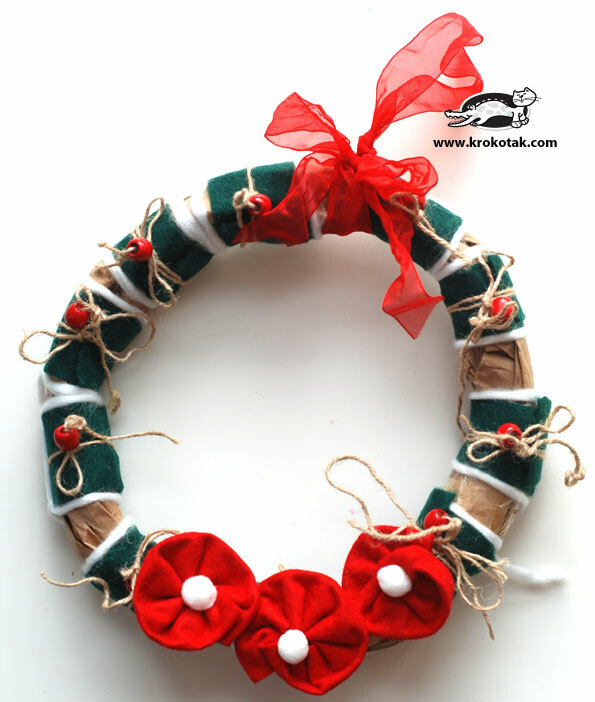 Twist crosswise to make a basic wreath shape. Cut the green felt sheet into 10 strips. 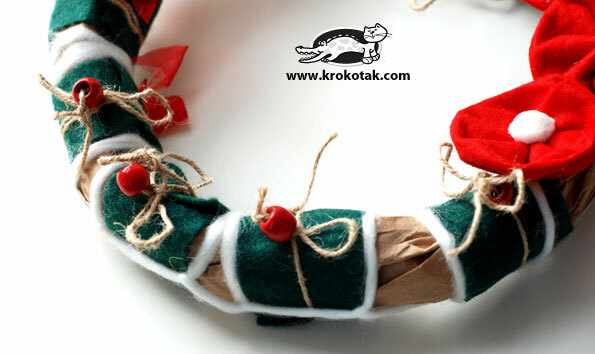 Wrap each one around the wreath and secure with twine. 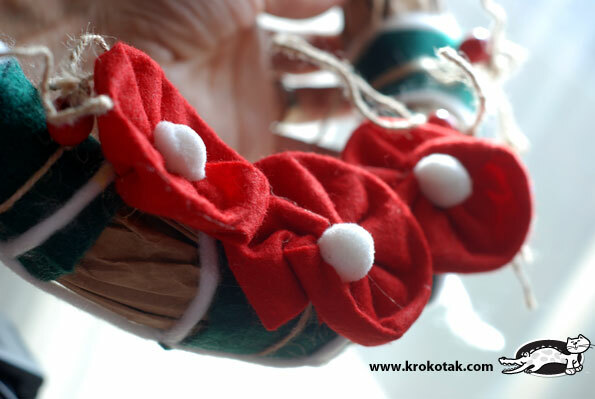 When adding the white yarn (see photo), carefully wind around the wreath to frame the green strips on both ends. 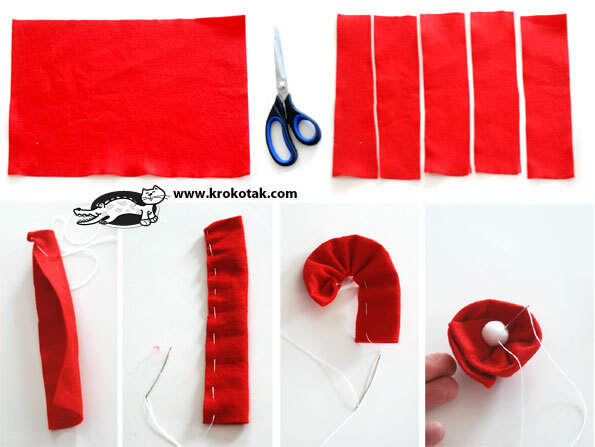 Use the red felt sheet for the flowers. Cut crosswise into 5 strips. 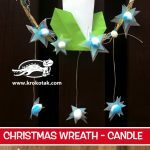 Fold each one in half and make a rough running stitch. Pull the thread and shape the flower.